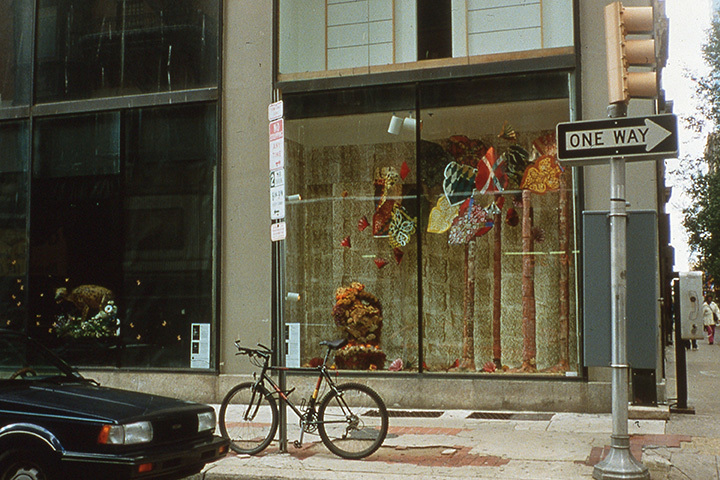 This window installation had a silk screened wall paper and printed paper forms hanging from the ceiling. There were ceramic large feet and ceramic tree trunks emerging from the feet. 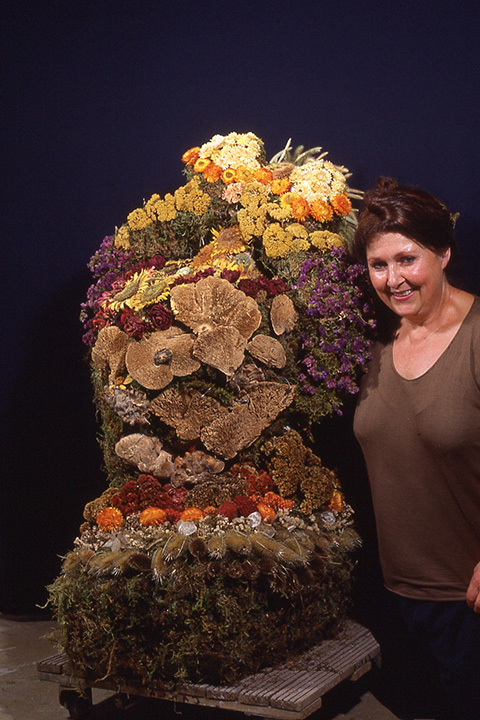 The crouched figure was covered with dry flower such as coxcombs yarrows, marigolds, thistles, ferns and other flowers. It took me almost three months to collect and dry the flowers.